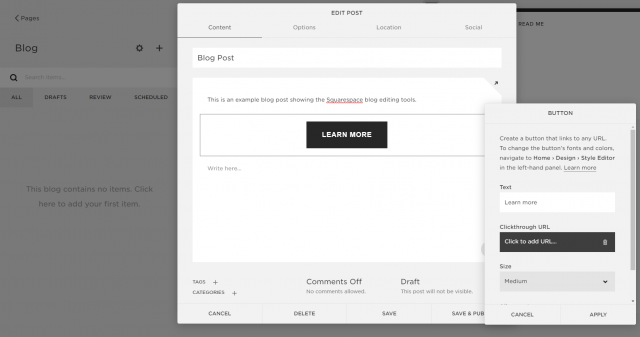 Squarespace is one of the best-known website builders on the market, and rightly so. 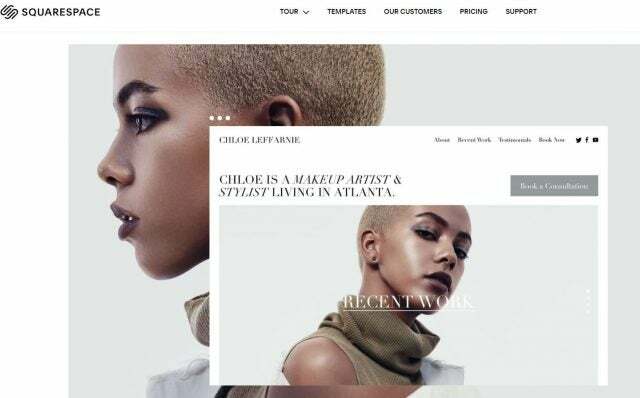 It offers a fantastic service, with top-quality customizable website templates, an intuitive editor, and even a professional-grade ecommerce platform. So, what’s the price for all this? 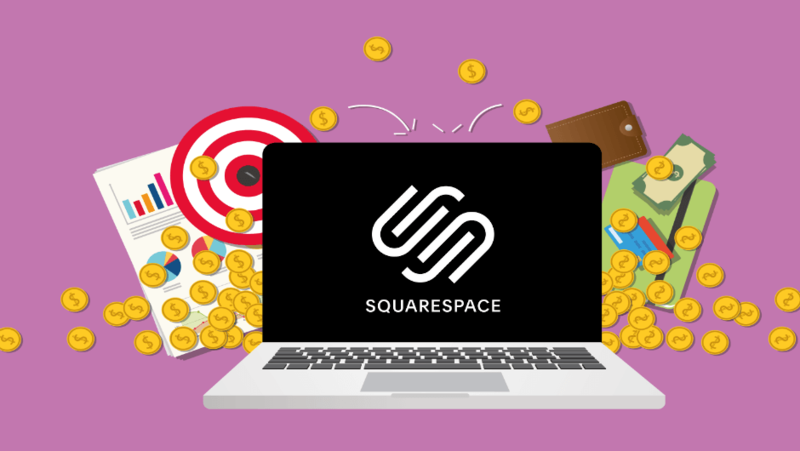 And how much do you need to spend to get an amazing website with Squarespace? We’re going to take a look at all that, and more, in this Squarespace pricing guide. Squarespace offers four main pricing plans, as well as a 14-day free trial. 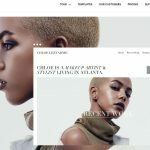 It might not seem as cheap as other website builders on the market when you’re first starting out, but Squarespace has a fantastic range of features available – even on its cheapest plan. Chances are, if you’re after a high-quality website, Squarespace will be worth it. Can You Use Squarespace for Free? Yes, you can use Squarespace for free – but only for 14 days. That might seem like a shame, but as we’ve spoken about elsewhere, free website builders are far from ideal. You’ll have a very limited feature set, your site will be littered with adverts, and there’s a high chance you won’t actually be able to publish your website at all. 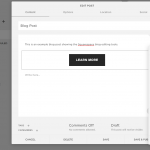 Squarespace’s 14-day free trial, though, gives you the chance to try-before-you-buy. You’ll be able to set up your site exactly to your liking, and when the 14 days are up, you’ll be able to publish it straight away. 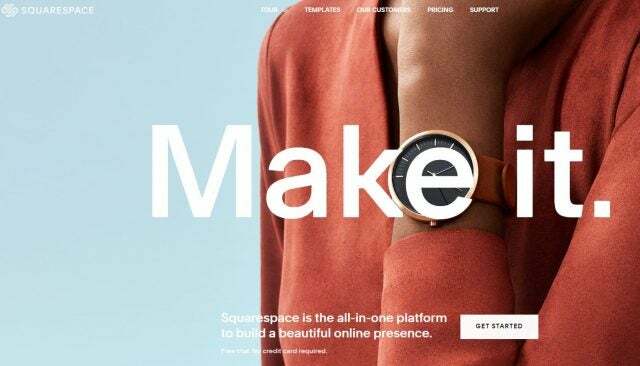 Squarespace splits its four pricing plans into two sections: Websites and Online Stores. The Website plans are the cheapest, starting at $12 and $18 per month. These plans are meant to provide websites that will suit all kinds of users, from hobbyists, clubs and portfolios to small and medium-sized businesses. The clue is in the name with the Online Store plans. They’re designed to allow users like yourself to create fully-functioning online stores for your business, no matter its size. As a result, they require some specialized ecommerce features – such as shipping and tax calculators – that bump the price up. 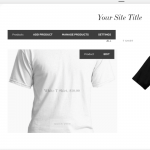 The Online Store plans cost $26 and $40 per month. The plans might sound expensive, but Squarespace’s pricing structure isn’t designed to upsell you. It wants to make the whole business of creating and running a website – whatever you need it to do – as simple as possible. The Personal Plan is Squarespace’s cheapest pricing plan, costing $12 per month. For this, you’ll get access to a fully-featured website with unlimited storage for uploading images and videos, and unlimited bandwidth to make sure everyone can visit your site. Your website will be fully mobile-optimized, thanks to Squarespace’s industry-leading templates, and you’ll get SSL security included, so your users will see the reassuring padlock in their browser. Also thrown in are website metrics and 24/7 help and support. If you’re looking to build a website for a small club, hobby, blog or portfolio, the Personal plan is a great choice. Intended for businesses that don’t need to sell products online, the Business plan costs $18 per month and builds on the Personal plan’s strong foundations. You’ll also be able to access a selection of tools to encourage customers to visit your store or place an order. You get $100 of Google Ad credit to help attract customers to your site, as well as access to promotional pop-ups and an announcement bar to make your offers even more enticing. For small bricks-and-mortar shops or services businesses, the Business plan is ideal. While you can sell products online with the Business plan, Squarespace will take a 3% commission on every sale you make. 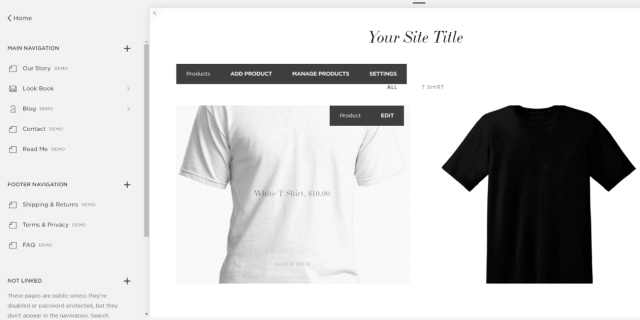 With the Basic Online Stores plan, however, Squarespace waives the fee. The monthly price is increased to $26 per month, but you get a wide range of benefits beyond just the transaction fee. For example, you get a fully mobile optimized checkout on your own site, and improved commercial metrics to identify any pain-points your users are finding with your site. You also get access to integrated accounting and label printing services, provided by specialists that have partnered with Squarespace. This makes it super easy to keep your stall in order. At $40 per month, this is Squarespace’s most expensive plan. And, while you might wince at that price, don’t forget that Squarespace’s excellent site design and features will be helping you make way more money than that. This extra level of functionality means that you’ll be able to offer a complete ecommerce experience with remarkable ease. If your business is selling products, this is the best way to go about it. Every website has a domain name. Ours, for example, is Tech.co. Without a domain name, you won’t have a website – and while it is something you have to pay for, it’s not something that costs a lot of money. With Squarespace, when you pay for your website plan annually, you get a free domain for a year. So, this means that a Personal Plan website with a year’s hosting could cost about $165, or $13.75 per month. And, considering that you get unlimited storage and bandwidth on all Squarespace plans, that’s far from a bad deal. If you choose to create your website with Squarespace, you’ll be able to take 10% off with the code ‘TECH10’. Or read more in our Squarespace or Squarespace for Ecommerce Reviews.